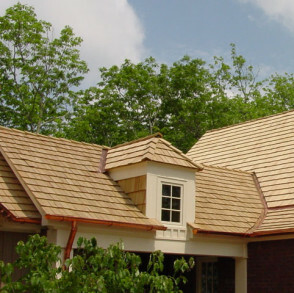 Wood Shakes & Shingles | Linnert Roofing, Inc.
A wooden shingle or shake roof once represented one of the few types available. 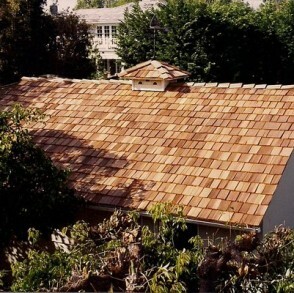 Today it is a premium product that costs the home owner more to purchase and install than the more common asphalt shingle or rolled roofing product. 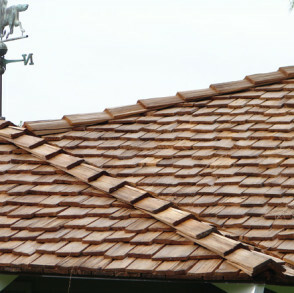 Architects and building contractors choose wood roofs for their beauty and natural appearance that blends well with the surrounding environment and enhances the structure’s landscaping. There’s a difference between shingles and shakes. 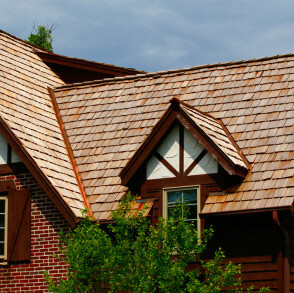 Shingles in all instances are sawn; shakes can be split, split and sawn, or simply sawn, depending on the type and grade you choose. 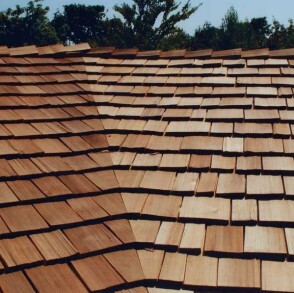 Shingles are thinner than shakes. 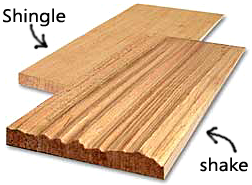 They are sawn smooth on both sides and cut tapered. 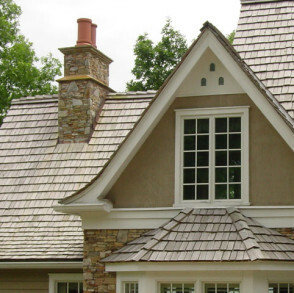 They have a tailored appearance and are used for both roofing and sidewalls. Recommended for use on pitches of 3:12 and steeper. Shakes are thicker than shingles. There are two main types: (1) handsplit and resawn and (2) tapersawn. 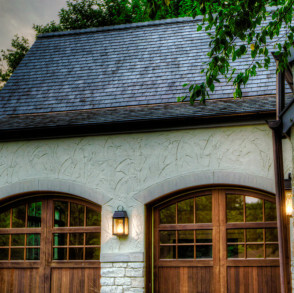 Handsplit and resawn shakes have the split face exposed with a naturally rustic appearance, and are sawn on the back. 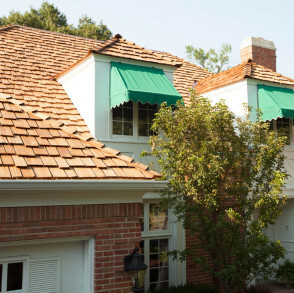 Tapersawn shakes are sawn on both sides for a semi-textured look with a stronger shadowline than a shingle. 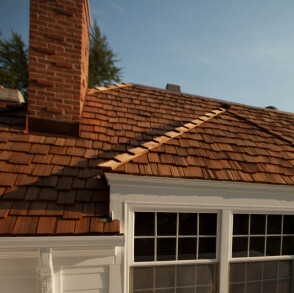 Used for both roofing and sidewalls. Recommended for use on pitches of 4:12 and steeper.